i3 Impact Innovation Invest is a 30 months Coordination and Support Action for ICT 19-2015 technologies for creative industries, social media and convergence. In accordance with the European Council’s conclusion that “Europe needs an integrated approach from research and innovation to market deployment”, i3 aims at increasing research projects’ outreach and impact bridging the gap between the development of technologies and their market deployment. i3 identifies emerging, promising solutions in the European convergence and social media research sector, and helps their makers to evaluate technology and business potential, to be able to prepare a viable go2market strategy. 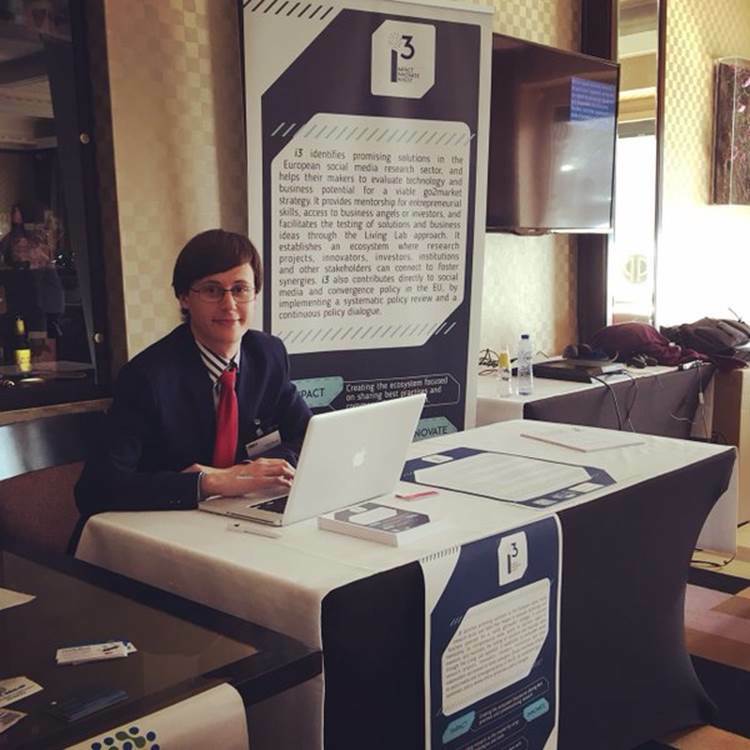 It connects them with investors, corporates, institutions and media through a variety of events and exploitation activities to further help them with the market deployment of their ideas. I3 also establishes and active social media convergence ecosystem consisting of stakeholders such as other EU scientists and researchers, policy makers, EU-funded innovation projects, innovators, social innovation communities, NGOs, artists, etc. i3 provides tutor- and mentorship to equip researchers with the necessary entrepreneurial skills, in addition to direct access to business angels and investors. It also enables the solutions and their business ideas to be tested thoroughly with users and communities utilizing the proven Living Lab approach. As a final activity, i3 will implement a systematic policy review and run a policy dialogue to identify areas in need of further exploration, in order to advance consensus and bring together key stakeholders from government, political parties, private sector, civil society, academia and the media to discuss key policy issues.